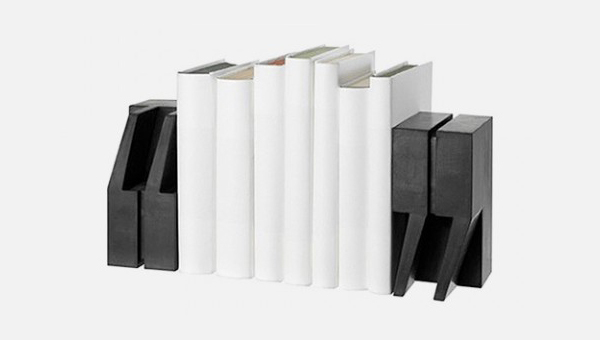 Bookend is a great way to accessorize a bookshelf or keep a few favorite table books together. 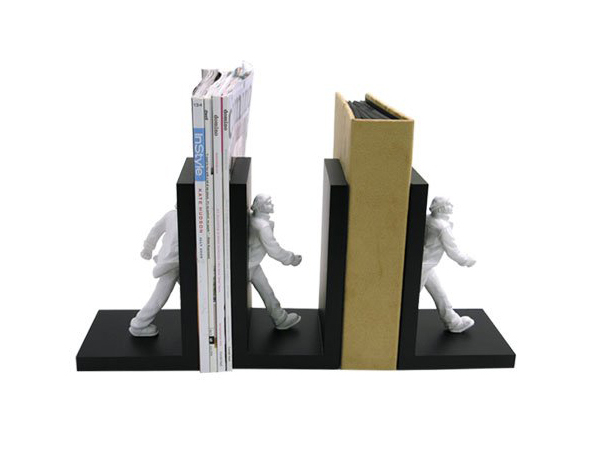 There are many bookend designs out there to choose from in various shapes and forms and in different styles. Knowledge in the Brain is a conceptual bookend design by Karim Rashid. 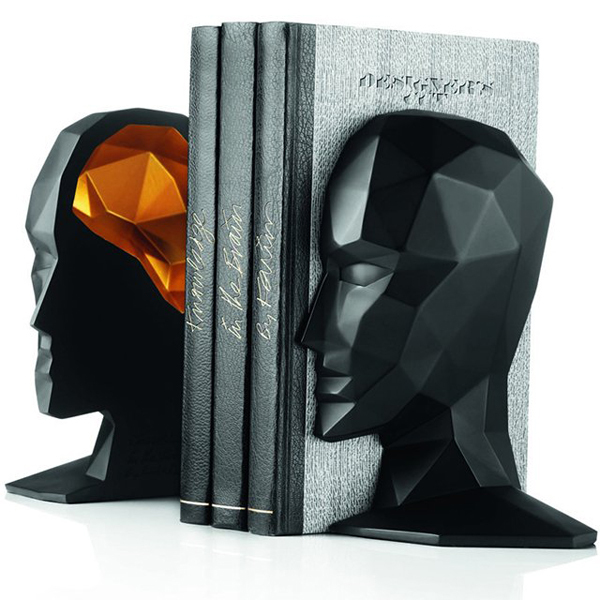 Shaped as a human head the bookend splits into two pieces to reveal a brain cavity. 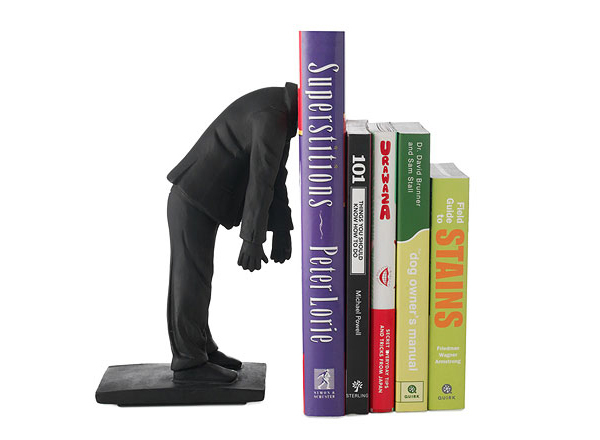 Bookworm Bookend is a cool bookend in form of a man sticking his head into the books. Creative and also kinda conceptual. 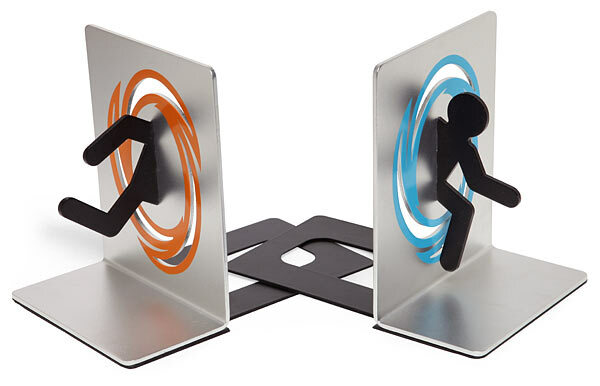 Portal-inspired bookend is a great accessory piece for game-lovers. 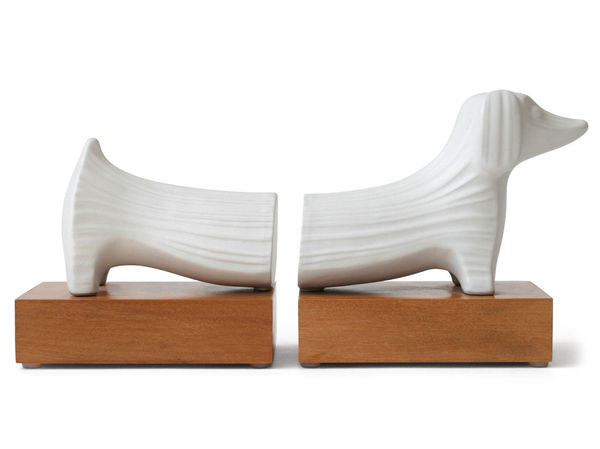 Dachshund Bookends is a cute design by Jonathan Adler made of high-fired stoneware and solid hardwood base. Quotation marks are inseparable and are essential to the written speech. 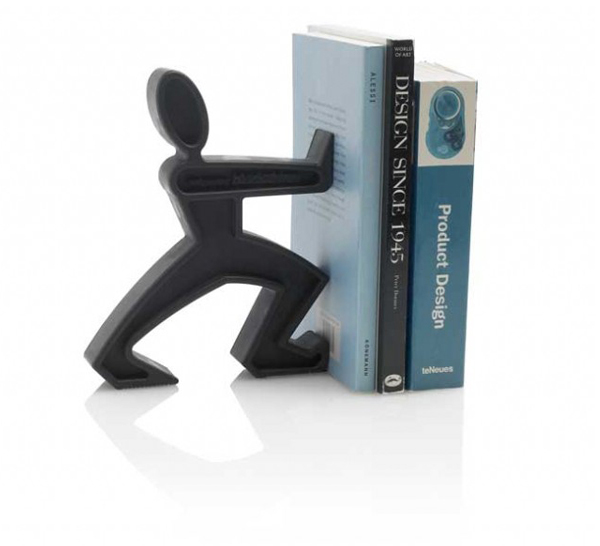 Quote/Unquote Bookend designed by Eric Janssen for MERLO-T makes for a great bookend. City Slickers is a three-piece bookend in form of men walking through the books as walls.